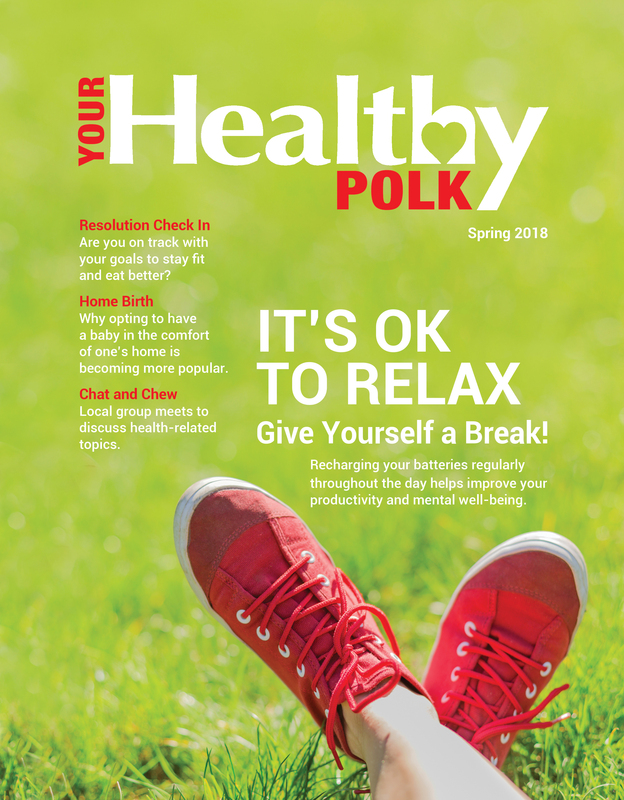 Your Healthy Polk | Spring 2018 – Your Healthy Polk | Polk Media, Inc. Taking breaks actually helps mental health and productivity. New Year’s Resolution to stay fit still on track? If not, read this. A different way to make an entrance. Give yourself a break, check in with resolutions, home birth + more.